With egg white only, this cake is the best way to use leftover egg whites (that I have a lot in my freezer). Actually it made with the same method of the chiffon, but this time we just left out the egg yolk. 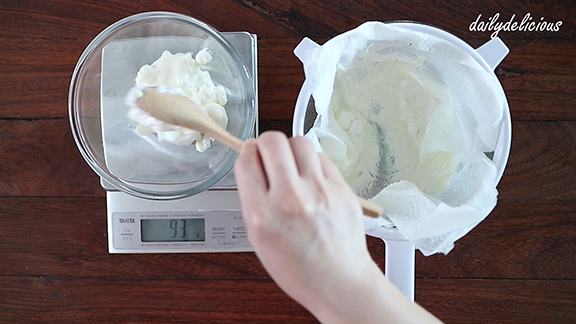 The result is you get, soft, smooth and snow white cake. 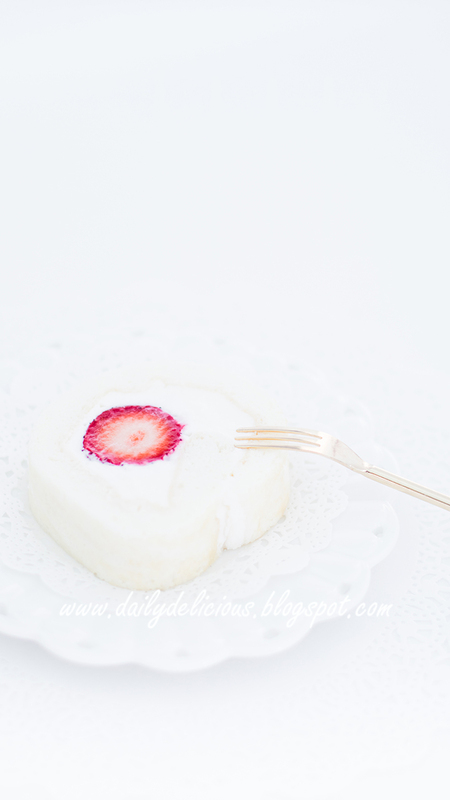 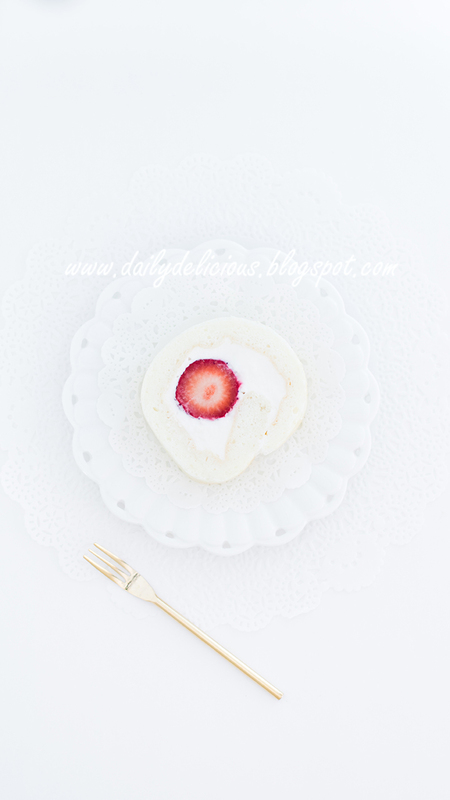 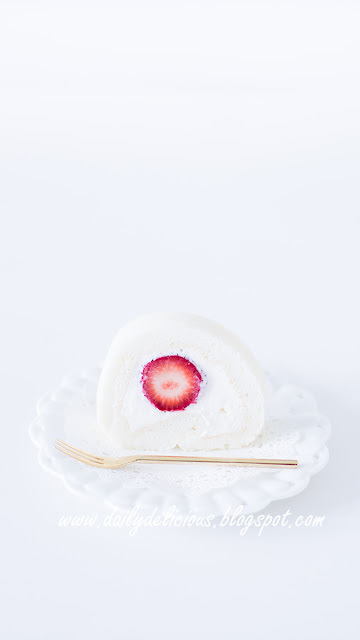 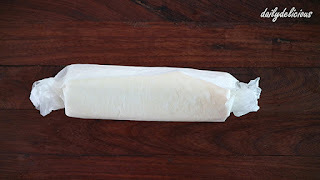 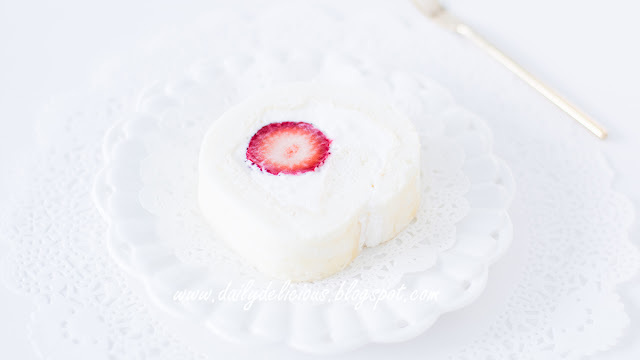 You can make it into all white cake by skip the strawberry from the filling, but for me sweet and lightly sour taste of fruit goes very well with sourness of the yogurt filling. 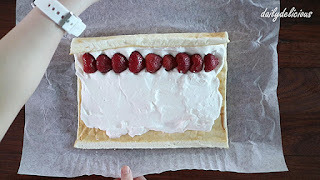 And yes, you can use other kind of fruits too. 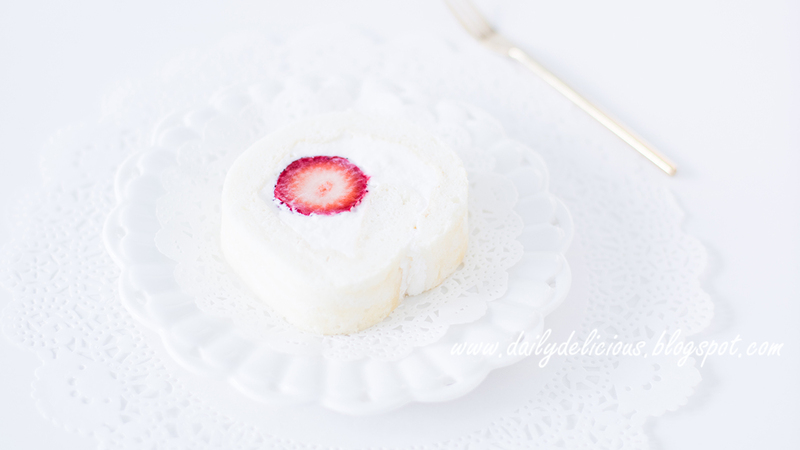 Talk about the yogurt filling, you can use more sugar it depends on your taste ^^ and if you make white cake (without fruits), you may need more filling than mine. 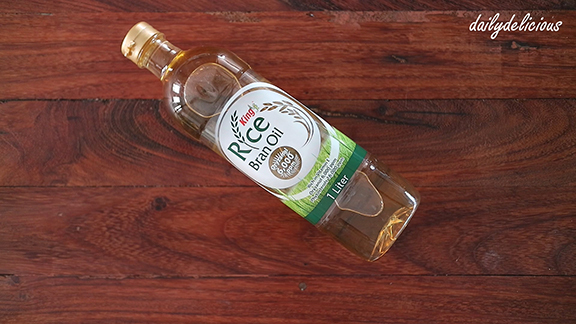 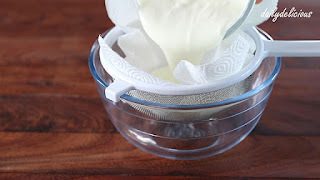 Place a a piece of paper towel or clean tea towel over a sieve. Pour the yogurt into the sieve, let it drain for at least 4 hours. 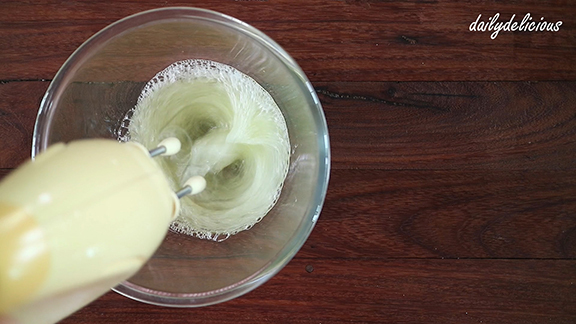 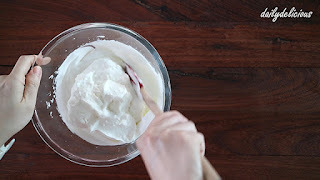 Put oil, milk and flour into a bowl. 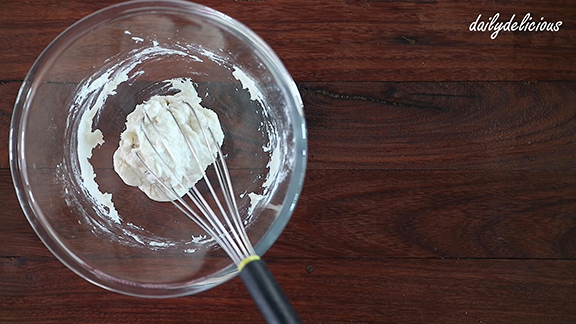 Beat the egg white until foamy, add the sugar gradually. 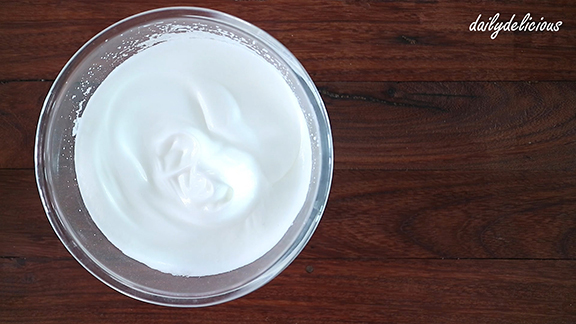 Beat until firm peaks formed. 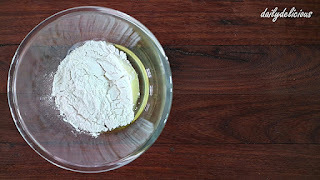 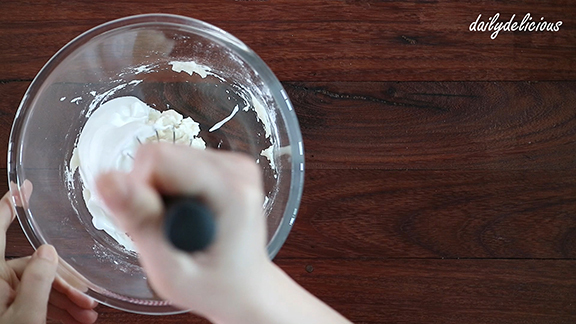 Put 1/4 of meringue into the bowl of flour mixture, mix to combine. 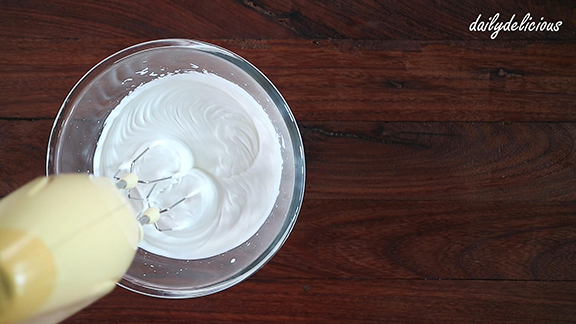 Fold the rest of the meringue in 3 additions. 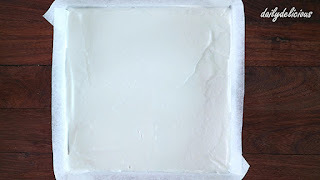 Pour into 30x30 cm lined cake pan. 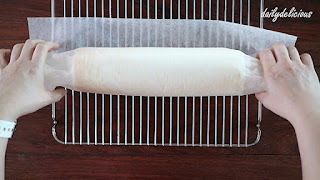 Smooth the top, and tap lightly to remove larges air bubbles. 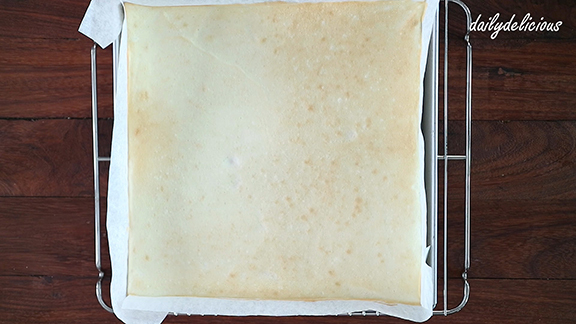 Bake for 15-18 minutes, or until the top of the cake spring back when touch lightly. 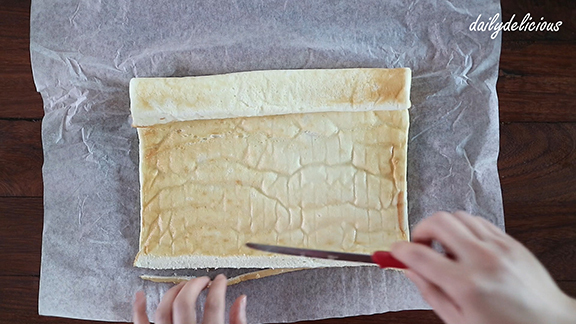 Place a sheet of baking paper on top of the cake, and turn it over. 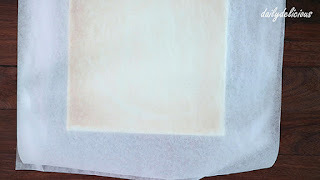 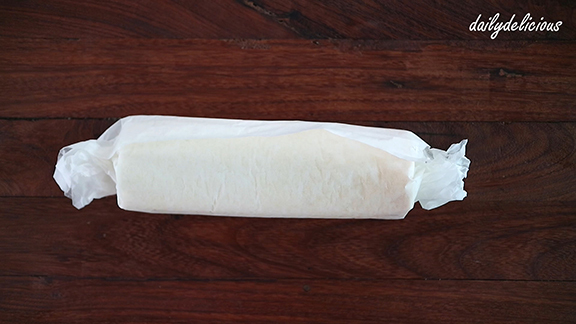 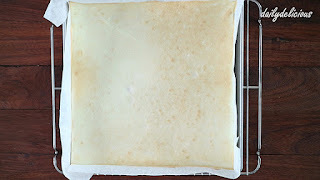 Remove the pan and the baking paper, then place new piece of paper on top. 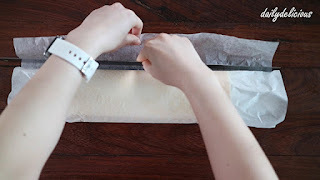 Turn the cake over and roll the cake with the paper, and let it cool completely on a wire racks. You will need 180g of strained yogurt. 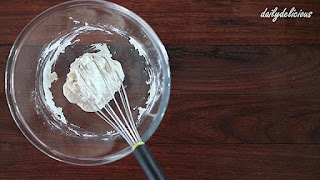 Whip the whipping cream with sugar until soft peaks formed. 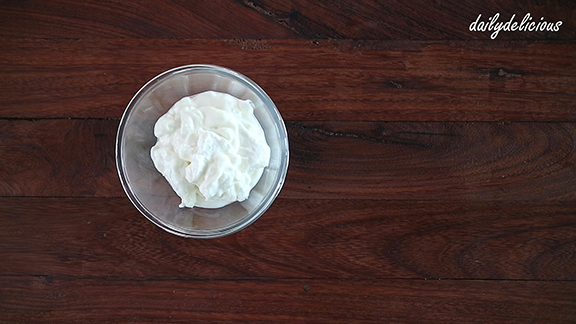 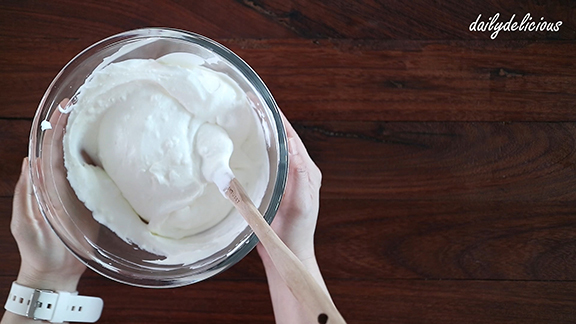 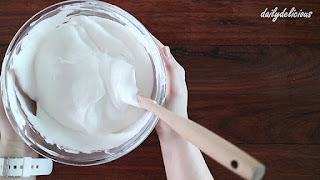 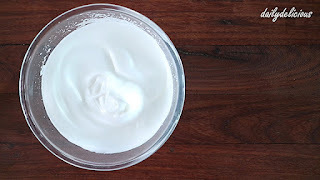 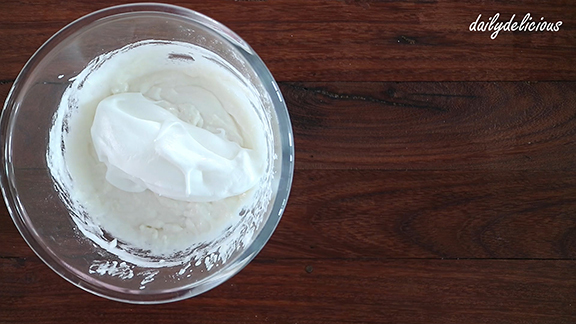 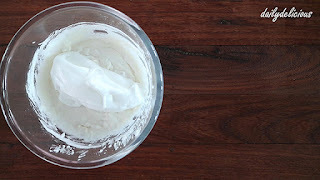 Fold 1/4 of the the whipped cream into the strained yogurt bowl. 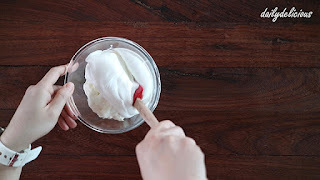 Pour the strained yogurt mixture back into the whipped cream bowl. Slice the edge of the cake to make sloping edge. Spread the filling over the cake and place strawberries on the filling. 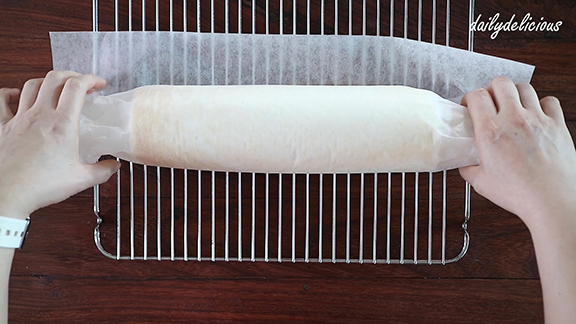 Roll the cake and press with ruler and pull the paper to tighten it.